Tanya & Tommie's wedding was a real hometown one - Boyle to The Landmark in Carrick via Knockarush. I started at Tommie's house, where Minnie & Cooper, the prize Pomeranians, all dressed up in their wedding bows, seemed to think that they were the stars of the show. No such rivalry at Tanya's, where the bride was firmly in the spotlight and looking fantastic, ably supported by her bridesmaids, including supersub Michelle, drafted in late after Tanya's sister Shauna was unable to travel from Australia. The weather forecast proved accurate, and the rain tumbled down all day. Luckily, we were prepared, and had a couple of fallbacks planned. First up was a pint in Kate Lavin's, which is always appealing. Tanya was pressed into action to pull a pint for Tommie. He seemed to find it amusing, and while Tanya didn't have the same expertise with the pumps as landlady Marie, he still drank it happily. Then we popped into King House for a few minutes. I'd been puzzled as to who Tanya reminded me of, and it was only when we entered the diningroom in the house that it struck me. 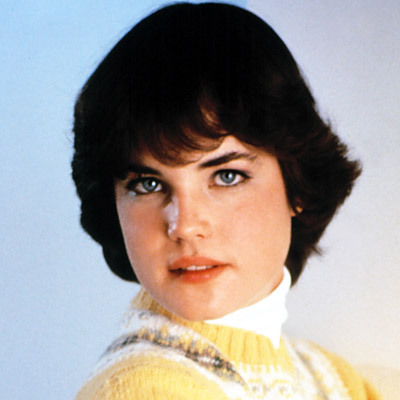 The actress Elizabeth McGovern, who plays Lady Grantham in Downton Abbey. Obviously, Tanya is about 30 years younger but if you look at this picture from 1980 here, there's definitely a likeness. Speaking of showbiz likenesses, I've had a few Groomsmen pull the Blue Steel look from Zoolander, but never as well as this trio of bride, dad and brother before. Tommie is more a music than a movie man. Though he looks like too nice and cleancut a young chap to be a drummer in a grunge metal band, appearances can be deceptive. Tommie pounds the skins for highly-rated young band "As The Miller Burns". Rumours of a hometown gig as part of the 2013 Boyle Arts Festival have been circulating for a while, but I hear an underground guerilla gig in Denis Dodd's Back Lounge is more likely. Whatever route they take to the top, it'll have to wait until Tommie returns from honeymooning in Mexico and New York. Once again, Niall from Complete Weddings was alongside me. Flowers came from Chantelle at Pure, hair by Laila Valentino, make-up from Patricia in Glow, while Gerard from Aiden Ray supplied the boys very dapper suits.